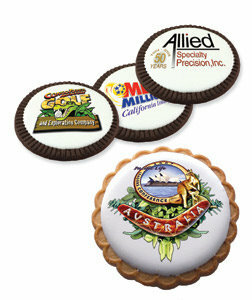 You can do a full color imprint on our 3" cookies. 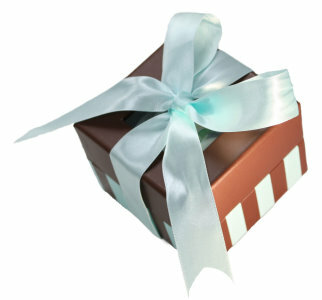 They are available in a Vanilla cookie with your choice of Vanilla or Key Lime flavored icing or a Chocolate cookie with Vanilla icing or Mint flavored icing. 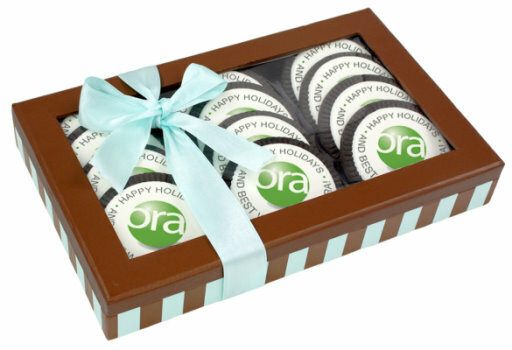 The full color pictures are printed with FDA approved food colorings and each cookie comes in a cello bag. Minimum order is 180 cookies.